Well, whatdya know? 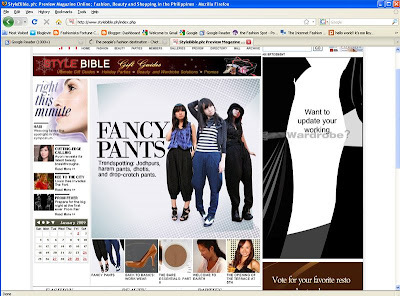 I got featured at stylebible.ph for their trendspotting segment of harem, jodhpurs, drop crotch pants. :) How cool is that?